2017 has been an eventful for Broctagon Fintech Group, with the opening of their Hong Kong office kicking off the start of the year, to the most recent introduction of new tradeable assets like cryptocurrency pairings. Since it’s founding in 2009, Broctagon has come a long way, evolving into a conglomerate of fintech solutions it is today. With core competencies in 360° solutions – technology, liquidity and business development – Broctagon has continually provided fintech solutions excellence for brokerages. The start of the year marked the official opening of the Broctagon Fintech Group headquarters in Hong Kong, taking place on 21 Feb 2017. It also marked the simultaneous ignition of the Fintech Group’s various subsidiaries: Broctagon Prime (CySEC), Broctagon Capital Solutions (FCA) and Broctagon Corporate Consultancy. This same year, Broctagon’s India team also moved to its current new premises in the heart of India’s IT Hub, Noida, occupying an entire 30,000 square-feet floor. Broctagon unveiled its business strategy this year to delve into Southeast Asia’s brokerage market, with its status as one of the most important emerging markets in the region. The Fintech Group has long maintained a stronghold in Asia, the most noteworthy being in China. 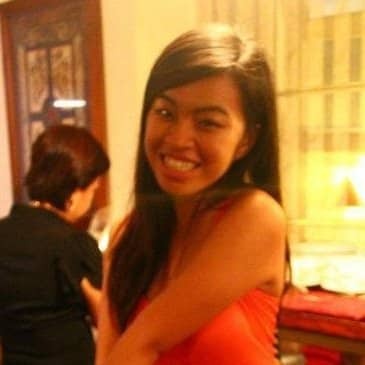 As such, moving into Southeast Asia comes naturally as part of their strong expertise in the region’s markets. Broctagon has proven itself the brokerages’ choice in multiple expos in the region. Its participation in the Shanghai International Money Fair 2017 as well as the 2017 Wuhan iFX Show and more throughout the year amassed impressive turnouts, its turnkey solutions forming the crucial foundation in the rapid development of many successful firms in the country. 2017 also marked Broctagon’s entrance into the cypto-sphere. The group announced a new exciting range of crypto products at the Finance Magnates London Summit 2017 in November, offering popular cryptocurrencies like Bitcoin, Litecoin, and Ether paired with major fiat currencies. Addressing the needs for crypto-liquidity, these digital coins that are traditionally paired only with the US Dollar (USD), are also offered with Euro (EUR), and Japanese Yen (JPY) for Broctagon’s clients, opening up new opportunities and combating the limitations of cryptocurrencies. This expanded product suite is a response to the increased volume of crypto trading worldwide. Broctagon Prime, an EU Liquidity Provider licensed by Cyprus Securities and Exchange Commission (CySEC), and subsidiary of Broctagon, also offers margin trading with 1:5 leverage for CFDs relating to virtual currencies, a step up from the usual 1:1 across the board. 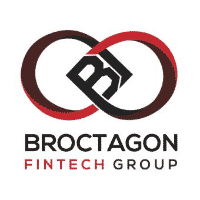 Now, with 11 offices in six countries, Broctagon continues to carve its name in the fintech industry as it paves the way towards continued expansion. It seeks to explore new cryptocurrency offerings for clients, to bridge a continued gateway into the crypto-industry. With unique insight into industry trends coupled with ever-evolving products, Broctagon maintains its strive towards excellence and its promise in offering the best to help clients succeed for yet another year.